The scale and nature of waste also depends on any of the above or more types of undertakings. For a clean and eco friendly environment, it is our responsibility to dispose the waste in a timely and planned manner. There are many waste disposal services that provide disposal bins in West Vancouver to get rid of the waste. Any of these service providers can offer you with dumpsters that are perfect for any kind of junk disposal needs. 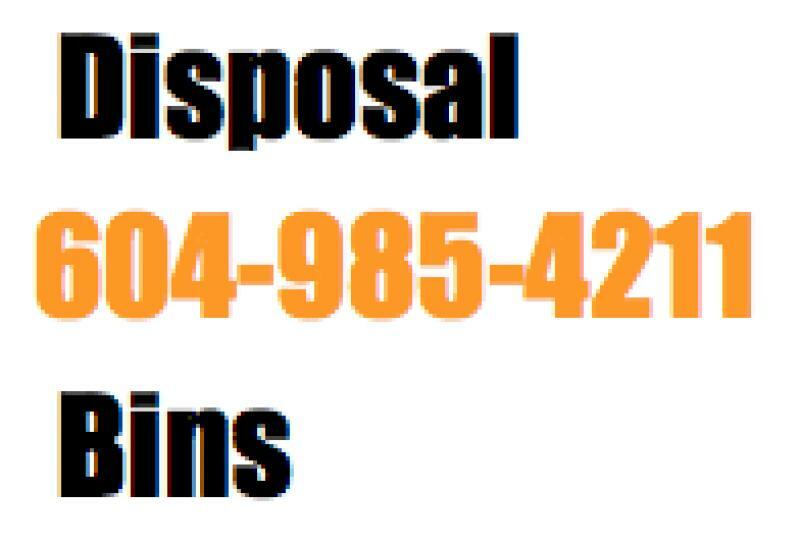 The disposal bins in West Vancouver are just a call away to help you in disposing your waste. These services often provide consultation in determining which disposal bin or dumpster is suitable for your needs. We can drop off these bins and by using the roll off system the bins are offloaded in to your driveway, street, or alleyway. Once you have dumped your waste in the disposal bin at your convenience, you can call the service provider to pick up the bin off your property. These waste management agencies then recycle majority of the waste and help in building an eco friendly environment. No matter how big or small your waste disposal needs are, these service providers have equipment, which suit all kinds of needs. With many agencies providing disposal bins ranging from 5 cubic meters to more than 20 cubic meters, you can be rest assured that they can help you with any size of waste disposal. Watch our disposal bin video in West Vancouver. Watch our disposal bins in Vancouver.